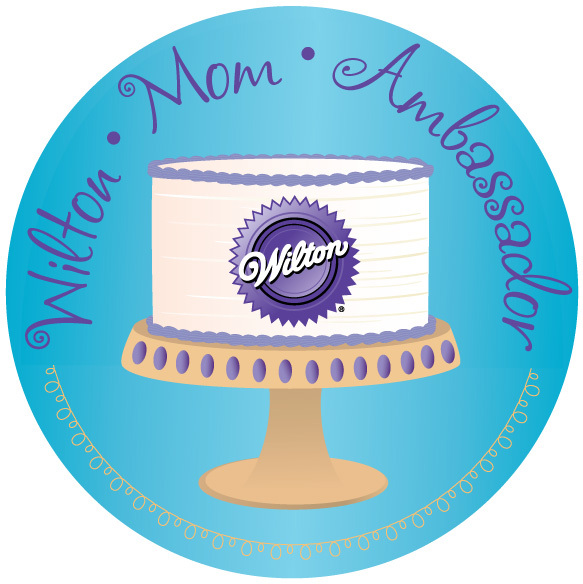 I’m a Wilton Mom Ambassador! One of my absolute favorite companies is Wilton. Eight years ago I took my first Wilton method cake decorating course at a Michael’s. I went on to take all three courses, and loved the easy and practical methods that I learned. When I started doing product reviews on my blog I thought about what companies I truly loved and used. Wilton was at the top of that list for helping to make everything from everyday desserts to those big birthday celebrations something special. So when I got to do my very first product review and giveaway with them I was thrilled. This spring I got to attend my first Wilton Mom ReTreat and I was giddy. Walking through the hall at Wilton and seeing cakes that I had admired in Wilton Yearbooks in real life was an amazing moment. Then I was invited back this month to go to another ReTreat. It was awesome. It felt like coming home to family. 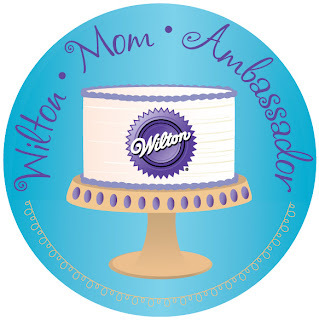 So it with the greatest pleasure that I get to announce today that I am a Wilton Mom Ambassador! I feel privileged to be working with a company with such amazing products that I truly believe in. I am truly excited to be bringing my readers creative ways to celebrate occasions both big and small with Wilton! Thank you for such a warm welcome from everyone at Wilton and the other Wilton Mom Ambassadors! I am honored to work with you all! My travel and expenses for both above mentioned trips were paid for by Wilton. All opinions expressed are my own.